Every gym owner's primary concern should be increasing membership and retaining current members. This is a much more difficult challenge than it seems on the surface. There is plenty of competition out there and many people are turning to alternative fitness methods that do not require a gym membership. Let's take a look at the best ways to boost new members and maintain a desirable retention rate. Research group TRP recently surveyed 10,000 gym members to learn about their motivations for joining and staying with a gym. The survey results show that those who exercise with others are nearly one-third less likely to cancel their membership compared to those who do not engage in a group based exercise. It is also important to point out that 87 percent of new members are less likely to partake in a group exercise than those who had been with the gym for an extended period of time. It is clear that people gradually form new relationships with others at the gym. If they are provided with a group-centric exercise such as step aerobics, they will be much more inclined to renew their membership. Some people join the gym as a means to lose weight. Others want to pack on muscle. There are even people who join the gym in an effort to form new friendships. 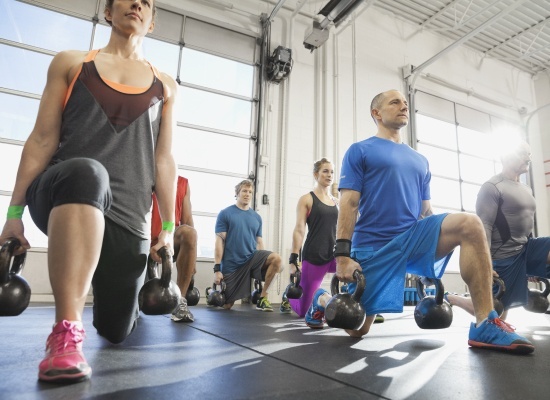 Gym owners and managers should keep each one of these nuanced goals in mind. 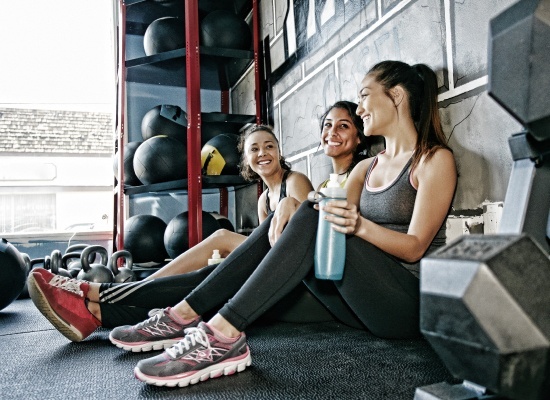 Studies show that those who befriended another person at the gym are 40 percent less likely to cancel than those who did not forge a new friendship. Do your best to facilitate member interaction through social exercises like racquetball, tennis, Zumba, etc. Also, consider developing plans for new members to keep them motivated. If they feel as though the gym staff is on board with their goals, they will be more inclined to renew their membership. According to the TRP study referenced above, a gym's fitness experts and front desk staff are both uber-important in member retention rates. Though it is a bit surprising, an astonishing 87 percent of members state that they valued interaction with the gym's fitness staff. Nearly three-quarters of members valued an interaction with the front desk personnel. Those who reported that they were not spoken to by the fitness staff or reception desk personnel are two times as likely to cancel. It is imperative that you develop a strategy to convince your team to interact with members. Even if it is something as simple as a cordial greeting, it could go a long way to boosting retention. Gym members have another pet peeve aside from the staff failing to interact with them. Those who have to frequently wait to use equipment are 50 percent more likely to cancel their membership. Sure, it is possible to stock up on machines but you might not have the capital to do so or the space to place them. Perhaps there is an alternative exercise that members would be interested in performing while waiting for machines. 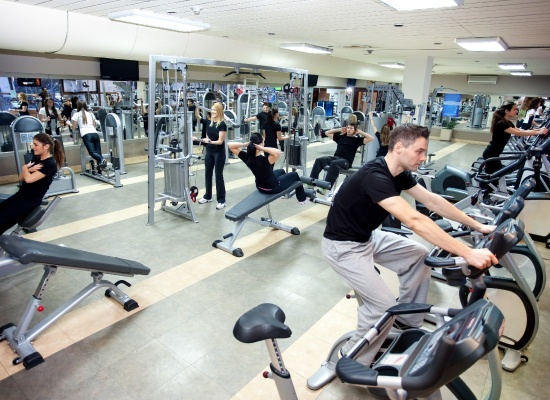 Gym members desire to feel as though the gym staff really does care about their physical fitness. Though your facility's equipment might be top of the line, it does not matter if your member base is not engaged. It is equally important that your staff remains involved in members' physical fitness regimens. Consider offering an initial fitness assessment and regular training sessions. These sessions will provide your staff with the chance to develop a rapport with members. 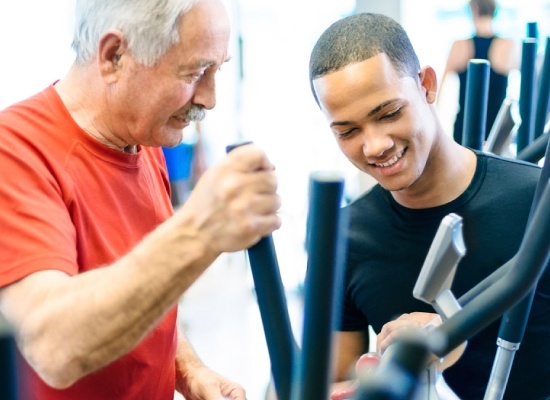 Those who feel as though the gym staff is available to answer questions and address concerns will remain motivated to come back on a regular basis. Though most businesses are open from nine-to-five, such hours will not suffice for a gym. Don't risk membership cancellations by limiting your facility's hours. People have different work schedules that force them to squeeze in workouts whenever possible. In some instances, this means a gym member will be able to fit in a workout at 6 AM. In other instances, a member will be able to workout in the late evenings. Gym marketing should be slanted to those 35 years and older. Though no gym should neglect marketing to the youth, the truth is that gym members age 35 and older have a 50 percent lower cancellation rate during the first eight months of membership than those who are younger than 35 years of age. Figure out what percentage of your member base is older than 35. If it is less than expected or desired, do not hesitate to alter your marketing materials to appeal to this critically important demographic.